Fangirls, with Force Friday nearly upon us, and the next Star Wars film drawing nearer daily, who doesn’t want to spend their time binging on everything Star Wars they can get their hands on? 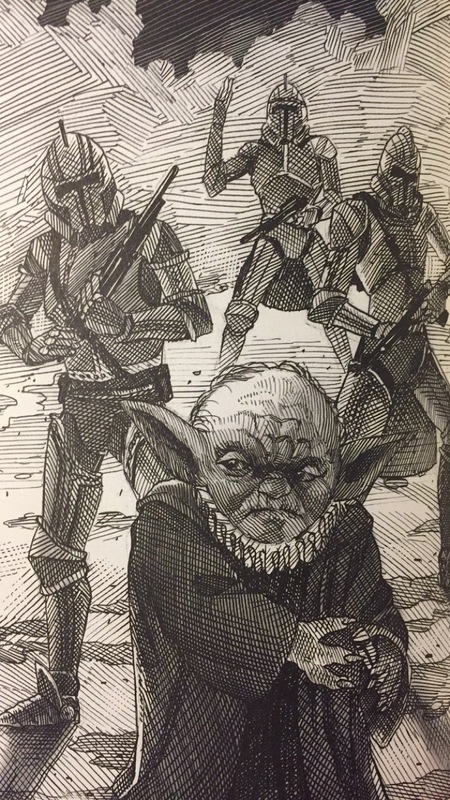 When I was offered a copy of William Shakespeare’s Tragedy of the Sith’s Revenge (by Ian Doescher), I jumped on it. And I’m very glad that I did. Though I haven’t read any of the other books from this series, I assumed I would be able to understand the book. Thankfully, I was right. I fell into this book like Alice down the rabbit hole, and adored every second of it. The book, as the name suggests, is a Shakespearean-like adaptation of Revenge of the Sith, the final installment of the Prequel Trilogy (that no one wants to talk about). Though I’m not a huge fan of the film, this adaptation gave it new life, and some amazing illustrations. The book is set up just like a Shakespearean play; there are stage directions, acts, and all illustrations look like woodcuttings (except the cover). The characters in the illustrations are wearing Shakespearean-esque garb, that still is very obviously Star Wars. I loved it. It’s fun and exciting, and perfect for the Star Wars / Theatre Fangirl in your life (though I recommend getting her William Shakespeare’s Star Wars first, or even the Royal Imperial Box Set, which is what I want for Christmas this year). So go forth, mine Fangirls, and readest to thine heart’s content! 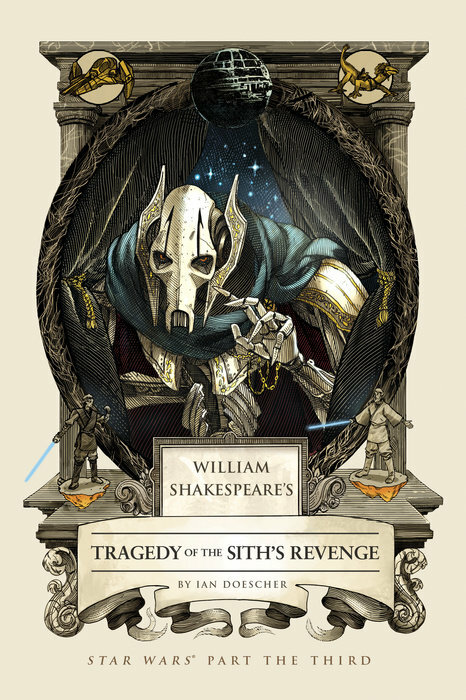 William Shakespeare’s Tragedy of the Sith’s Revenge will be released on September 8, 2015, from Quirk Books for $14.95. All images and characters depicted are copyright of their respective owners. I’m so sorry that I’m terrible at olde english.